What are HVAC Air Filters used for? HVAC Air Filters are one of the most important components of any HVAC system. A dirty filter or a filter that needs to be replaced can cause problems. We have compiled the basic information for what you need to know about the purposes and types of air filters, and we have checked out the available air filters. We have selected the best air filters and provide our recommendations for you. 15.75" x 24.25" x 3"
15.65" x 24.65" x 4.31"
Much as an oil filter is designed to protect an engine by removing contaminants, air filters are designed to protect the HVAC equipment by removing contaminants. These contaminants range in the level of harm they could do to humans or pets, but they are all highly detrimental to the HVAC equipment. Air filters are placed within a ventilation system to block airborne particles such as mold spores, bacteria, viruses, animal dander, pollen, and dust. Keeping these things from freely flying through the air is good for a building’s occupants, but it is primarily good for the equipment. If the ducts are clogged, the air doesn’t flow freely. A clogged filter starves the unit for air. This results in a decrease in your HVAC system’s efficiency. Units that have dirty filters that need to be replaced have to work harder and don’t provide cool air in the summer or warm air in the winter. An overworked HVAC system is an HVAC system that won’t last as long. Overworked units also hit your pocketbook with higher utility bills. If the air can’t flow through the ductwork, it backs up into the air handler and causes the AC condenser to freeze up. If you see ice on your condenser - the unit outside - and you aren’t getting cold air inside, it might be your air filter’s fault! When you begin to look at air filters, you will find an alphabet soup of letters that can be confusing to the novice. MERV, MPR, FPR, and HEPA are all acronyms associated with HVAC air filters. We break them down for you below. The Minimum Efficiency Rating Value ranges from 1 to 20. Air filters are tested six times by organizations and manufacturers to determine the MERV rating. Air filters that capture large dust particles rate a MERV score of 1 to 4. The higher the rating, the smaller the particles that are captured. Filters with a MERV 8 to 12 rating are most often recommended for residential use. 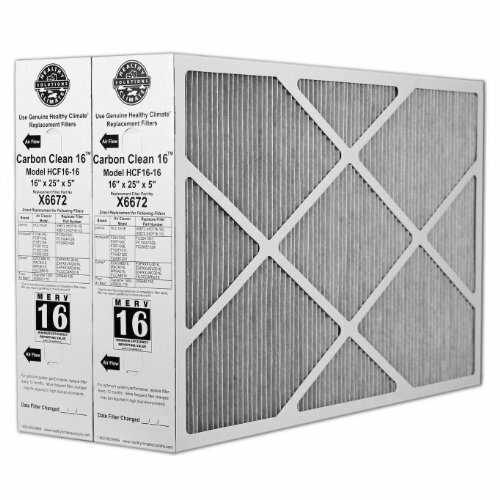 MERV 13 to 16 rated filters are commonly used for commercial or industrial HVAC systems. The Micro-Particle Performance Rating is a rating system created by 3M. The rating designates the 3M filter products’ abilities to capture pollutants smaller than 1 micron. Home Depot has a unique rating system for their air filters. The Filter Performance Rating is comparative to the MERV rating, but it is specific to brands sold at Home Depot and is solely determined by Home Depot. High Efficiency Particulate Air filters catch the tiniest of particulates. These filters have a MERV rating of 17 to 20. HEPA filters are great for helping individuals for health reasons because they block allergens. 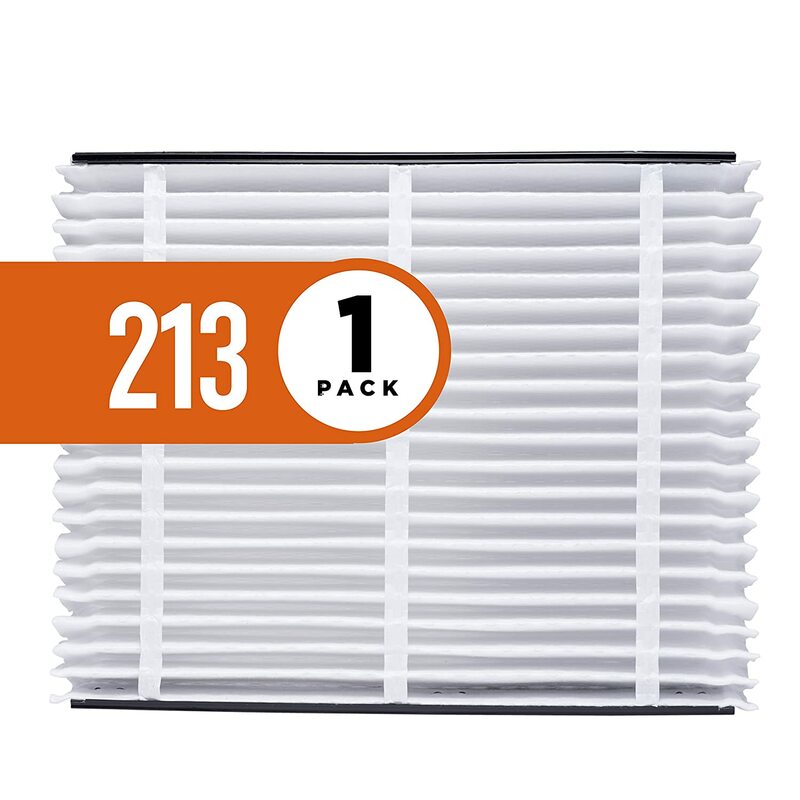 These higher efficiency air filters restrict air flow and are not usually used in residential HVAC systems. 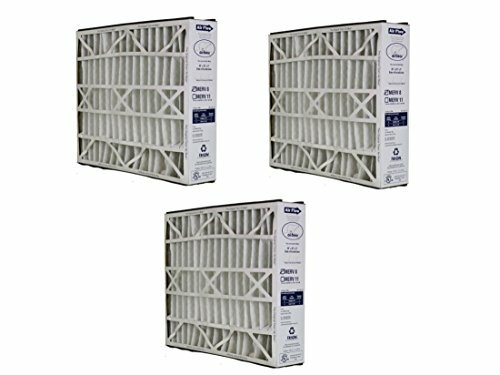 In addition to the rating system for HVAC air filters, these filters are made with different materials and in different styles. We discuss five different types of filters below. Flat panel fiberglass air filters are some of the most commonly used filters in residential HVAC air returns. This type of filter typically has a MERV rating of 4. It has to be replaced approximately every 30 days of use of the HVAC system. This is a disposable filter. 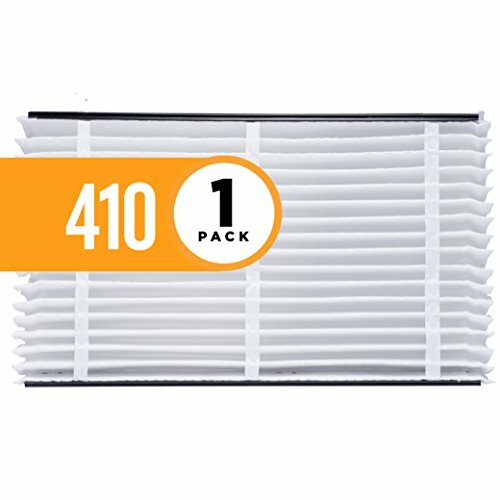 If you are looking for a low maintenance filter, this is a good style for easily putting in the new one and tossing the old one in the garbage. However, if you are wanting to put in your filter and forget about it for longer than once a month, this isn’t the filter for you. Pleated filters are the most popular type of filter. Pleated filters can be used with any type of HVAC system. The pleated filter catches the dust and particulates on the surface of the pleats rather than within the filter. It is a thinner filter because the material doesn’t allow the materials in the air past the surface and doesn’t need to be thick to catch the remaining particles. The filter’s pleats increases the air flow and causes less restriction of airflow as it collects materials. This makes the pleated filter more efficient. Most pleated filters have a MERV rating of 8, but they range from 5 to 13. Some pleated filters have a MERV rating of up to 13 because they feature electrostatic characteristics, and they don’t support growth of mold or bacteria. Pleated filters are sometimes made with carbon and charcoal fibers. Carbon absorbs the odors. Cotton, polyester, and synthetic blends are also used to make pleated furnace filters. These filters are disposable. Honeywell and Aprilaire are among the manufacturers of Media filters. These filters usually have a MERV rating of 10 to 13. Some media filters are used in conjunction with the media air cleaner that is placed in the ductwork. These filters can also be used at the air return. Media filters are bulkier than the pleated filters. These filters are different than the traditional filters. HEPA filters are used in commercial or industrial locations as well as in medical facilities. HEPA filters are typically made of fiberglass. HEPA filters intercept and hold onto the tiniest of particles in the air. HEPA filters must be replaced often. Washable reusable air filters are a permanent type of air filter. Once you purchase a washable air filter, you will be able to wash it off and put it back into service periodically. This is one of the newer air filter types, and it is gaining popularity. It is a green choice to reuse an electrostatic air filter. These filters should be washed approximately every three months, unless you have indoor pets or lots of dust and allergens in the air. In that case, you’ll want to clean them more frequently. These filters should last about five years. We found five air filters to share with you. We found that pleated media filters are the most versatile of the filters on the market. Lennox manufactures a filter that is made of carbon and rivals some of the higher MERV rated filters that are on the market. 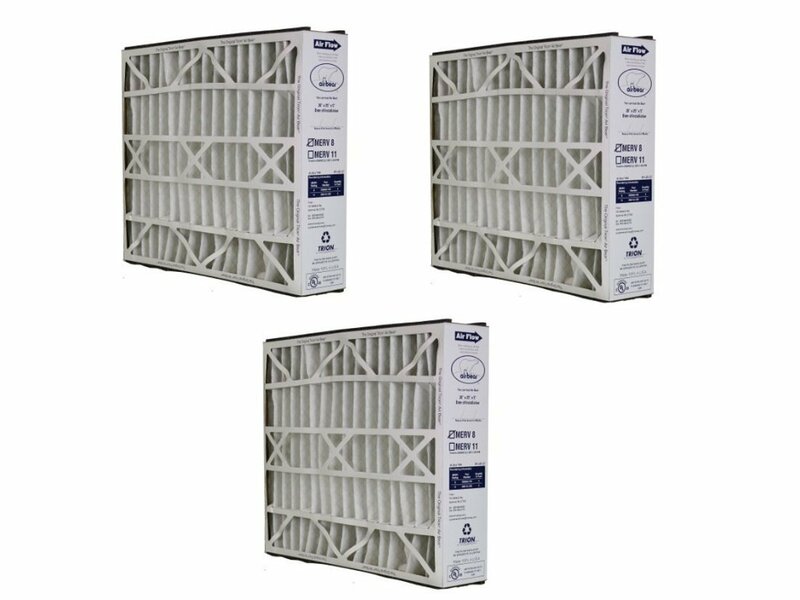 These air filters are designed for use with HVAC systems as well as air cleaners. Some of these filters are not universal. They are only for use with designated models of air cleaners. Be sure to know the particular specifications of the filters that you are able to use when you are purchasing replacements for your HVAC system. The Trion 255649-101 N/A Air Bear Supreme Replacement is rated as a MERV 8. This media filter is one of our favorites because it allows air to flow freely while filtering out large dust particles. This is an excellent filter to use as a universal replacement. 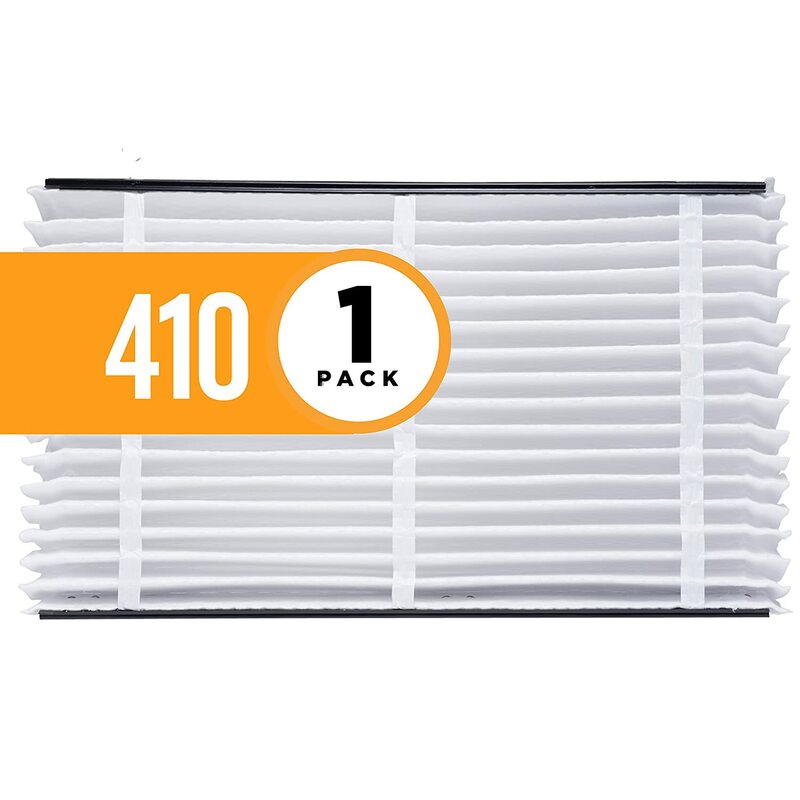 The Aprilaire 410 Replacement Filter is designed to only be used with the Aprilaire Model 1410, 2410, and 3410 Air Purifiers. These are high efficiency rated filters, rated at MERV 11. These are easy to install and are only replaced once per year. If you have an Aprilaire air cleaner, this product will extend the life of your HVAC system and provide filtered air for comfortable breathing. 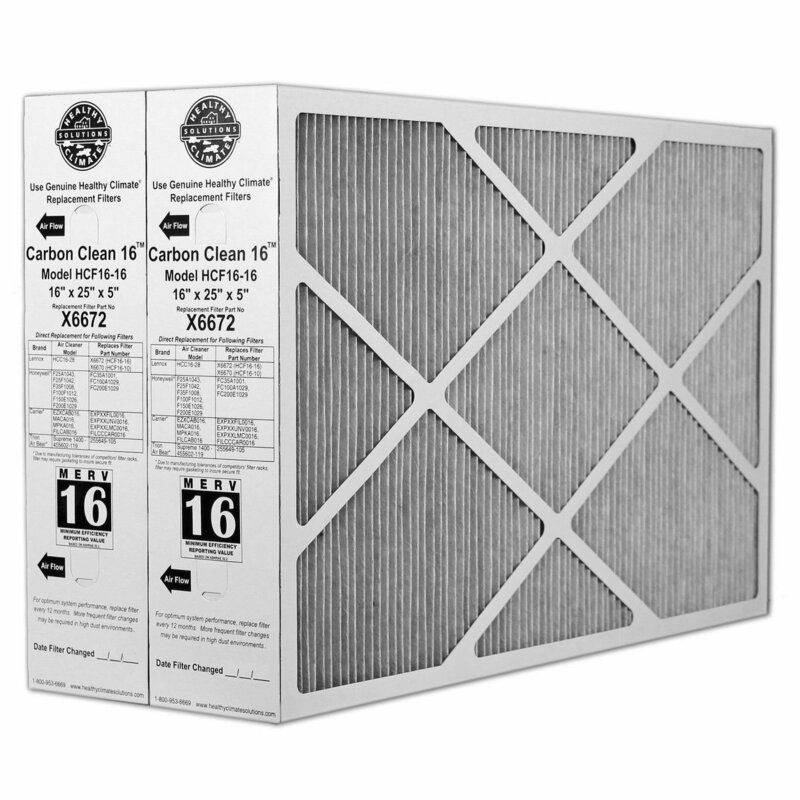 The Lennox Carbon Coated X6672 Healthy Climate filter is rated as a MERV 16. This filter is of hospital-grade quality. It removes about 90 percent of the tiniest microns of germs such as viruses and bacteria. If you want your residence to be germ-free, this should be your filter of choice. This furnace filter is reliable and is one of the best that isn’t rated as a HEPA filter. It is a versatile filter that can be used in air cleaners as well as furnaces. It is made with carbon to reduce odors. One issue is that most filters are white, and you can easily see when they need to be replaced. This filter is already dark gray, so it’s not as obvious. 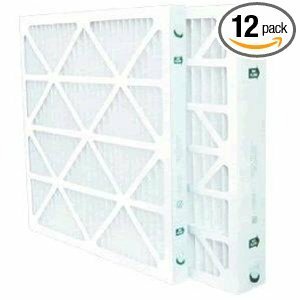 This MERV 8 furnace filter pack contains a dozen filters that can be used in a multitude of HVAC systems as a universal replacement for the filters that are standard size of 16 x 25 x 2. Although you won’t need to change them monthly, buying in a pack like this allows you to have a few on hand to change out the filters in a typical HVAC residential system. Buying in bulk is a great idea because you will have them on hand when the filter becomes clogged. Aprilaire 213 Filter Single Pack is not a universal filter. It fits only Air Purifier Models 1210, 2210, 3210, 4200, or Space-Gard 2200. This filter is able to trap dust and mold spores. Not only does this help the air quality, it also prevents the components of the HVAC unit from becoming covered with dust. Remember to measure the length, width, and height of the filter when you are purchasing a replacement filter. These dimensions are especially important because the filter must fit flush within the space designed for it to prevent an unfiltered flow of air to the components of the HVAC system. Air conditioning units require filter changes on a regular schedule. Each type of filter has a limited duration of usage before it needs to be cleaned or tossed out. If your filter is dirty, air can flow around the filter and deliver debris directly to the coil. This can damage the air conditioning system. Filters are located in different places along the ductwork in the air return. These can be in the ceiling, walls, or in furnaces or air conditioners. The lifespan of each filter is dependent upon the amount of time that the HVAC system is in use and whether the building is filled with dust, pet dander or fur. If the filter is catching particles and become dirty faster, it should be replaced more frequently than the manufacturer recommends. Air returns are typically built in standard sizes, but they are not all the same size. You must measure your filter before purchasing your replacement. Replacing a filter with a smaller size filter is not recommended because unfiltered air will flow around the filter and cause dust, allergens, and debris to collect on the coil. Also, a filter that is too large will not fit or do its job properly either. Some HVAC systems have multiple filters of varying sizes. Be sure to note this so that you purchase and change all of the filters on the same date. Keeping the HVAC system working properly is the ultimate goal. Air filters serve multiple purposes, but the most - advertised asset is easier breathing for asthma sufferers or allergy sufferers. This marketing information is important, but to the HVAC technician, the air filter’s function of protecting the equipment is of first and foremost importance. The restriction of airflow caused by a dirty air filter can cause frustration for the homeowner and the HVAC service tech. Proper care and maintenance of the HVAC system begins with the filter. MERV ratings are important when selecting a filter. If the filter restricts too much airflow, your HVAC system must work harder. Choose your filter wisely for both your health needs and your HVAC system’s needs as well. A moderate MERV rating is effective, unless you prefer hospital grade sterile air. 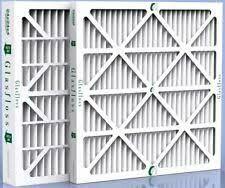 Keep your filters changed regularly, and you will be able to extend the life of your HVAC system. An Ace employee – just yesterday- told me to buy the cheapest air filter, because the upgrades can damage my unit. I have never been told that before now. Is it true? What should I use- i was buying the most expensive because thought it was better. ????? I wouldn’t say that more expensive is necessarily better or that cheapest is necessarily worse. There’s some good low-priced ones and some lousy expensive ones. I’m not sure exactly what the employee would have been talking about. As long as you were buying the right size and type for your unit, you should have been ok. Maybe the employee thought you were looking at something that didn’t match your AC. It should be in your manual or even on a label by where you replace your filter.